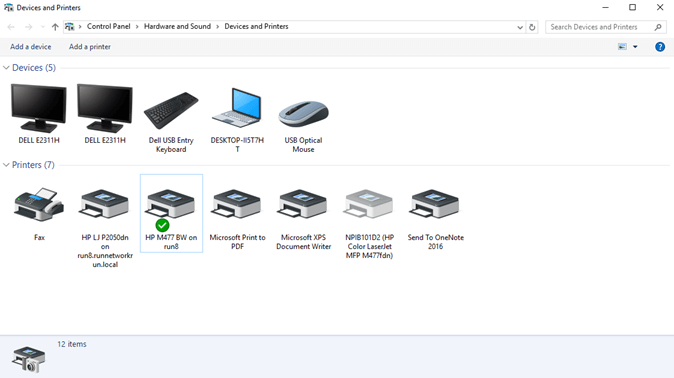 1.Press the Windows Key or click the Windows Icon in the lower left hand corner of the screen to open the Start Menu. 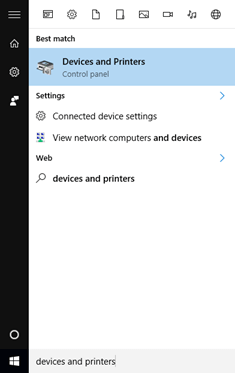 Inside the start menu, search for "Devices and Printers"
2. Inside Devices and Printers under the Printers heading, you will see a list of printers that are accessible to you. The one with the green check mark is the one that currently is set as your default printer. 3. 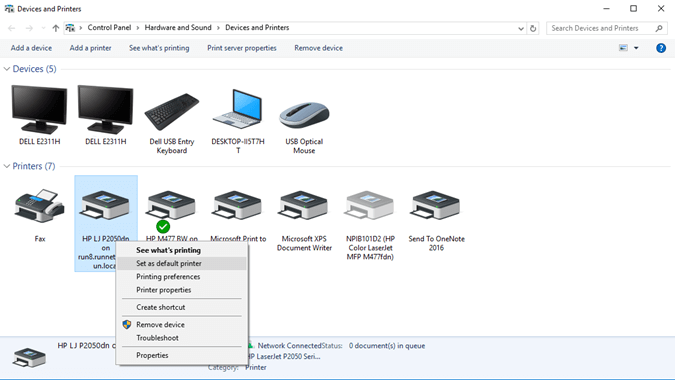 To choose a different printer to set as your default, right click the image of the new printer and choose the option "Set as default printer." 4.To test if this worked, you can try to print something. Here, printing a word document in Microsoft Word is used as an example. 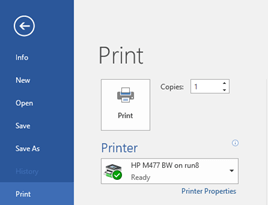 The first printer that shows up on the print options page is the printer that should be what you set as your default. As demonstrated with the last example, there is no longer a need to search through a list of printers to find the one you want; all you have to do is click print. Setting your default printer will streamline your work and save you time.